Today, the Italian Parliament approved a motion that states that the anti-homo/transphobia draft bill is against the Italian Constitution. Therefore, the Parliament rejected the law by blocking any further discussions on the matter. Arcigay considers this act as the latest outrage against LGBT (lesbian, gay, bisexual and transgender) people across the country carried out by a centre-right majority composed of men and women of mediocre human, political and cultural profile. Italy has been squeezed without mercy by these insane politicians who do not have any respect for people’s lives and rights. 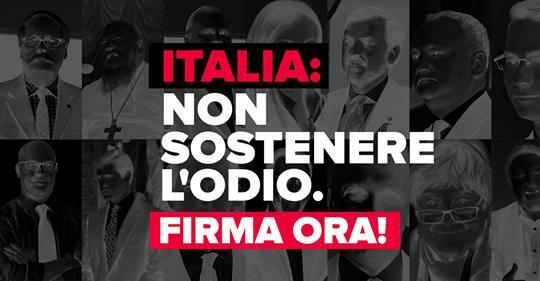 We denounce before Europe and the entire civilized world that in Italy there is a real democratic emergency. We denounce that in this country a law that protects victims of homophobia is defined by the Parliament as unconstitutional - the same Parliament and political majority composed by parties whose leading members have defined as acceptable and sharable the ideas of Breivik, the murderer of Utoya. This Parliament has betrayed justice and respect of civil rights and has decided to stand by the side of the homo- and transphobic aggressors. We ask again that the European Union help us deal with the dangerous raising of homophobia, xenophobia and racism, that the Italian Parliament has legitimised once again by telling us that violence should be tolerated and that the discrimination is the measure of coexistence in our country. As the Commissioner for Human Rights at the Council of Europe Thomas Hammarberg has stated today, even though the law didn’t pass, Italy is still obliged to meet the standards set by the Council of Europe on the issue of homophobia.